Each one of us puts ourselves in the place of Jesus. We should do that many times in our lives. Put us in his place, as he put himself in ours. To think what He would do in my place, what He would feel. Before the Baptism of Jesus, God speaks to each one of us. The words are very few. Maybe to hear him we have to be like Jesus, humble, putting ourselves in line, not wanting to stand out or be the only ones, the important ones. Simply fulfill our mission. That opens the heart. 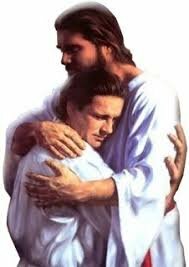 God, every day, tells us in his ear what he said to Jesus: "I love you. You are my son. I'm with you all the time. I do not separate my eyes from you. From afar, when you came closer, I saw you arrive with emotion. You are my favorite. I love you the way you are. I have created you with all my love and I have put in your soul the best gifts. I have chosen your physique and your character. The one you complain so much about. I have carved your soul so that you are happy, so that you can love and be loved. To be holy. So you know how to enjoy this life. I'm happy with each step of yours. God tells you: you give is only yours. There is no one like you. Because you are unique. You are not one more. It's you. Your name I repeat with infinite love every day. You are my most beloved son. I am your father. Always in me you have a home, the best place at the table. I have chosen you, I am in love with your littleness, with your way of being. I trust you. I have all my predilection in you ». I know we can hardly believe this personal, unique love. But in reality that is the mystery of our life. His love without conditions. 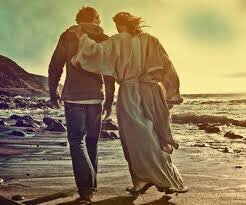 To Jesus, God does not say "I love you if you meet". Trust Him. 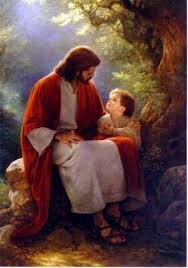 He tells you that He loves you for what He is. It's nice to be at the beginning of your mission. Partly to sustain him, partly to manifest him to men. At the beginning of each day, each year, of each project or path that we started, God tells us that He loves us without conditions, regardless of whether it is wrong or good. Do I believe this love of God? Sometimes we beg for love in any way because we do not have that rock of God's love that gives us peace. Do I give that love to those around me? That love is the one that heals so many wounds. It is hard for us to tell others that we believe in them, that we love them, that we like them as they are. And those words, we all know, sustain us. When we say them and when we listen to them. Today God looks at each one of us, pronounces the name of each one. We ask you to speak to us always, to help us listen to you in our hearts, in the events of our lives, in those around us, in silence. The love of God is immense, it exceeds our expectations. In every predilection there is an implicit mission. Isaiah tells us about the one who is preferred, preferred and therefore has a mission: "Look at my servant, whom I support; my chosen, whom I prefer. Upon Him I have put my spirit. He will not shout, he will not cry, he will not shout in the streets. The cascaded reed will not break it, the faltering wick will not turn it off. I, the Lord, have called you, I have taken you by the hand, I have formed you, and I have made you an alliance of a people, light of the nations. That you may open the eyes of the blind, remove the captives from the prison, and from the dungeon to those who dwell in the darkness. " Isaiah 42, 1-4. 6-7. The Holy Spirit empowers Christ and enables us for mission. Pope Francis says in his Apostolic Exhortation: "He sends his Spirit into our hearts to make us his children, to transform us and to become capable of responding with our life to that love." Christ is called to free the captives, to give light to the blind, to do justice in the midst of men. Christ can only begin his mission insofar as he is loved in the depths by his Father. Receive the Spirit and be led to the desert for love. Your mission comes from the love of God.